Water Resources are depleting day by day in several localities, Neel Water Treatment Systems is constantly upgrading its expertise and innovating advance treatment technologies solutions especially in recycling of wastewater. Recycling and reuse of the existing water & wastewater is extremely important to protect our precious resources for domestic, agriculture, commercial and industries. 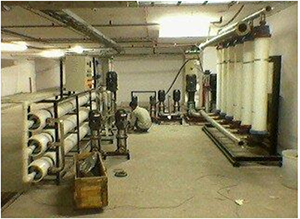 Neel Water Treatment Systems has vast experience on recycle/reuse projects and attaining a zero discharge from the municipal and industrial wastewater. Usages of treated wastewater have grown significantly in the last several years. The reuse alternative makes water more available, especially during droughts in some parts of the world, and curtails wastewater discharges into the environment. Treated water can meet a number of needs, particularly non-domestic ones such as irrigation, the replacement of drinking water for industrial uses and the injection and storage of water into underground aquifers after additional treatment. Recycled water can satisfy most water demands, as long as it is adequately treated to ensure water quality appropriate for the use. In uses Recycled water can satisfy most water demands, as long as it is adequately treated to ensure water quality appropriate for the use. Our clear, high quality recycled water is very safe to use. We have to meet strict recycled water quality guidelines at all times. What are the Environmental Benefits for Water Recycling? Water Recycling can decrease diversion of fresh water from sensitive ecosystem. It can decrease discharge to sensitive water bodies. It may be used to create or enhance wetlands and Riparian (Stream) Habitats. Water recycling can reduce and prevent pollution. Recycling water can save energy.